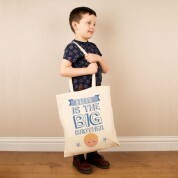 Make a big brother proud with this special cotton shoulder bag, especially for him. 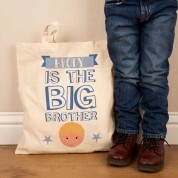 The writing reads the child's name followed by "Is the big brother". The design features blue stars and a boy character. 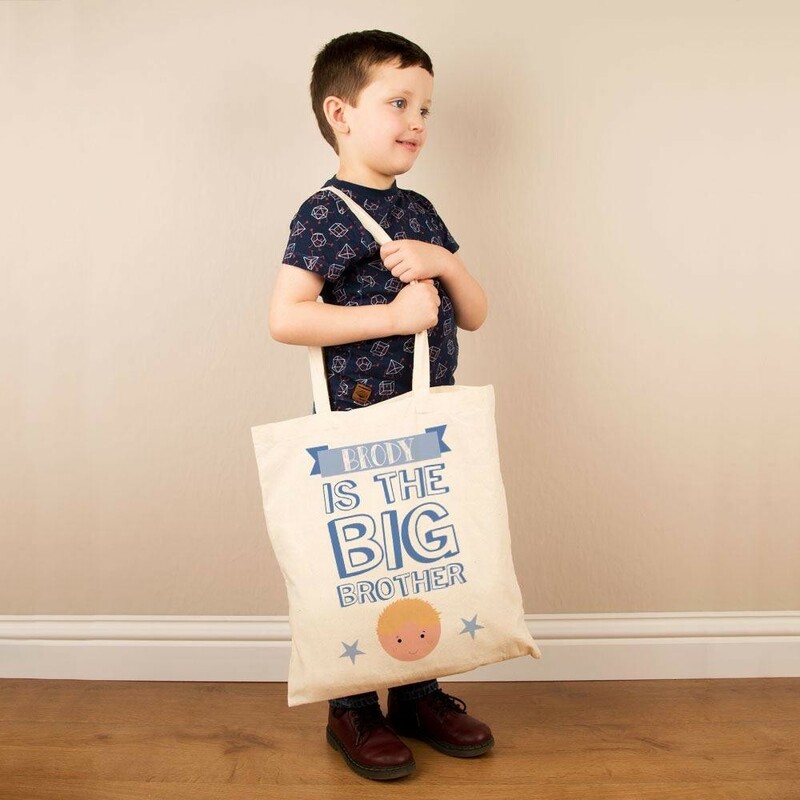 A unique and precious keepsake for a boy when a new baby has arrived. He can use it to carry toys and to store all his essentials in, with its long handles. Most of all, he will always show who is boss!